Whether you are a professional athlete preparing for competitions, a fitness enthusiast or a regular recreational gym visitor, recovery is an important part of your training programme. Not only does proper recovery help to ensure more frequent training sessions, but it also helps to avoid injuries. Using CBD oil after training and competition are becoming increasingly popular among various sports communities, as more is learned about how CBD can promote better recovery and optimise peak performance by boosting stamina. However, it is important only to use the highest quality premium CBD oil from a CBD supplier you can trust. Cheap priced “CBD” products often contain very little CBD content by volume. Canaroza premium CBD oil offers a convenient way of integrating CBD supplements into your sports recovery routine, allowing you to capitalise on the many restorative benefits of CBD. When your body is pushed to its limit, again and again, it is important to promote overall health steps in order to assist a proper recovery from the physical exertion. Anyone who has performed at maximum effort during a training session will be aware of the intense soreness that can linger for days after a completed session. The soreness is a result of muscular damage and inflammation. The inflammatory response is the process by which the body repairs itself, but the symptoms of this physiological process can be damaging to the training. Many athletes, therefore, take measures to counter the inflammatory response to increase recovery times and influence the healing process. It is in that process CBD has shown to be effective. CBD interacts with the body’s native systems to assist the body in achieving the balancing state of homeostasis. These balancing properties help many athletes recover faster so they are able to perform at their best at every competition or practice. Why should I use CBD after sports? CBD oil products help encourage better recovery so that you can reach higher levels of athletic achievement. Besides that, it also promotes proper sleep, appetite, metabolism, immune response and more. When CBD oil is consumed, the body absorbs CBD and the compounds eventually make their way to the bloodstream where they are able to interact with special cannabinoid receptors in the central and peripheral nervous systems. These cannabinoid receptors are a major component of the body’s endocannabinoid system, the regulatory network of receptors that keeps the body and its many functions in balance and functioning normally. Your ability to fully recover and perform at your best is highly dependent on how efficient your endocannabinoid system can keep your functions in balance. CBD oils like those offered by Canaroza can help your body restore itself by stimulating the endocannabinoid system and encouraging its efforts to bring your body and its functions back into balance. 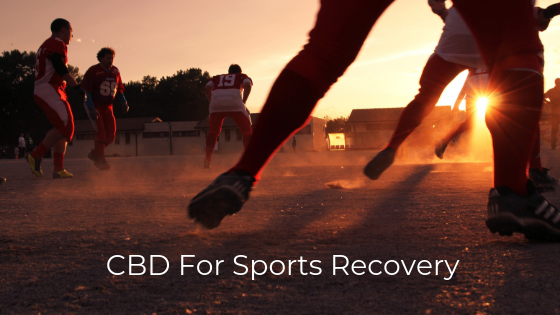 How Should I use CBD for sports recovery? Adding CBD supplements to your sports recovery is simple and does not require any adjustment to your routine. For most optimal effect CBD can be added at the end of your training session. Most athletes will consume a workout meal within 30-60 minutes after the session for optimal recovery. The CBD oil can easily be incorporated into your post-training smoothie, shake or meal by simply using the dropper to add your preferred dose. Using Canaroza premium CBD oil is a simple way to introduce CBD into your system after you finished training for the day. This entry was posted in CBD and tagged CBD oil products, Premium CBD oil.